AccuZIP, Inc., a national software company based in Atascadero, CA, provides feature rich solutions to manage Contact Data Quality, Address Hygiene, USPS Postal Presorting and Compliance and Mail Tracking and Reporting. Since 1992, AccuZIP Inc. has created award-winning, powerful and robust data quality and direct mail software. AccuZIP Inc.’s many products and services are certified by the United States Postal Service at the highest level. The company is also an Accredited Better Business Bureau member with an A+ rating and is SOC2 Certified. AccuZIP Inc. is a leading provider of data quality software. Data is the anchor of any business. It is the base of every business decision, customer relationship, and business investment. AccuZIP develops many comprehensive tools to ensure that your data has gone through every aspect of data cleansing possible, and is an invaluable tool for any business managing any type of data, including name and address information. Our solutions are designed to be utilized across many industry verticals to streamline, standardize and simplify processes associated with data entry, data management and multi-channel communications. AccuZIP Inc. develops many products and services, including the industry standard, flagship product, AccuZIP6 5.0. These products and services include its popular AccuMUV and AccuMUV48 for move-update compliance, AccuTRACE for IMB and QR Code Tracking, AccuZIP ToolKit for real-time address correction, CASS and NCOALink Cloud solutions, AccuMUVXtreme for CASS and NCOALink with ANKLink processing only, AccuGeoCoder, Palletization, Mail.dat, Manifest Mixed Weight Mailings, Bound Printed Matter presorts, Container Tags Module and ACS Module. AccuZIP products and services are used throughout the United States and Canada for data quality and mailing in the United States. AccuZIP6 5.0 at its highest level is GOLD PAVE Certified for 100% of the available postal presorts and presort options offered by the USPS PAVE Department. The software is also nationally CASS Certified for ZIP + 4, CRRT, 5-Digit, LACSLink, SuiteLink, eLOT and DPV. For 22 years, AccuZIP, Inc. has built an outstanding reputation for value, service and innovation. Providing excellent, efficient and courteous technical support and customer service for all its products and services is a top priority. AccuZIP Inc. is also the only postal software company in the industry to guarantee 15-minute responses for all e-mails and faxes received during normal business hours. AccuZIP Inc. also provides alternatives to calling support, through its Live Chat, iSite remote assistance and the comprehensive user forum. Live Chat is the favorite support method utilized by its customers, giving them the option to print a full transcript documenting the entire chat session. All support options are included free of charge with all packages. Steve Belmonte is CEO/President of AccuZIP, Inc. Mr. Belmonte formed and founded AccuZIP, Inc. in 1992 and has over 25+ years’ experience in high-level software programming and development. Mr. Belmonte oversees all aspects of AccuZIP, Inc. including software development, USPS relations and the overall strategic direction of AccuZIP, Inc. Before founding AccuZIP, Inc., Mr. Belmonte owned and ran his own printing company in Southern California before selling it to begin development of the AccuZIP software products and services. Mr. Belmonte holds several technical degrees and certifications and is also the chairman of many local non-profit foundations and youth organizations. 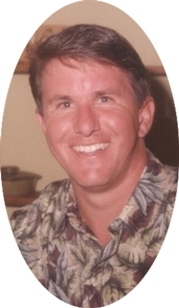 Mr. Belmonte resides on the central coast of California with his wife and three children. He enjoys doing pretty much anything that includes time with his family. Bettering his local community and supporting the local kids and schools are very important to Steve. Mr. Belmonte is heavily involved with his kids’ 4H and supports the local students with their FFA projects each year. 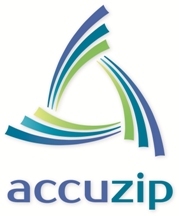 AccuZIP, Inc. is a national software company that develops products and services to help streamline data management and simplify the multi-channel communications process. AccuZIP products and solutions are cost effective, fully functional and 100% compliant with all USPS regulations. For over 22 years, AccuZIP, Inc. has earned an outstanding reputation with our partners and the industry built on our core values of Service, Loyalty, Innovation, Excellence and Integrity. CEOCFO: Mr. Belmonte, would you tell us the concept behind AccuZIP? Mr. Belmonte: AccuZIP is a data quality and mailing-software company. We make software that takes customers’ lists and cleans them so it will standardize each address in their database. If for example someone has moved on the list, our software will automatically update their address to the new move. This is called NCOALink (National Change of Address), and the address standardization is called CASS certification with DPV (Delivery Point Validation). We can verify an address to the delivery point and suite or apartment number. Many of the ecommerce websites you go to require you to enter your address. When you type your address into the webpage our technology would sit in the backend and verify and validate the data. Our software also has a tracking component in it so when the package, letter or flat is mailed, our product could let you know where that piece was every hour of the day 24/7. We have a patent pending product called LIVINGMAIL that adds on to the tracking element, which means anybody can program a mailing piece to have that mail piece perform certain actions as it is traveling to an address. For example you could have a mail piece automatically dial the person you are mailing the piece to and then patch them into the person who mailed it. If you were mailing something to grandma and you wanted the letter to call grandma when it got close to her home, it would do that. Our LIVINGMAIL service can also bridge a conference call with the mailer and mail recipient depending on the geographic location of the mail piece. CEOCFO: How are you able to do this? Mr. Belmonte: This new patent pending technology will literally change the way people think of mail forever. It is hard to understand how that could happen but our technology in the backend is what makes it happen. The USPS scans the Intelligent Mail barcode throughout its journey to the mail recipient. When the mail piece is scanned, we capture that information in real time. Based on the scanning of that barcode or any barcode including logistic barcodes, our product makes decisions and performs certain actions. You could also have it tied to temperature. If the package is going through an area that is very warm, then our trigger could be triggered based on temperature, humidity and different weather conditions and then have the package rerouted at some point where we could send messages to the carrier. There are many applications for LIVINGMAIL. CEOCFO: Where does the post office come in? Mr. Belmonte: For example, AccuZIP6 is our desktop product and we have a SaaS product that is coming out later this year. When we validate an address, we generate a barcode and the barcode is an Intelligent Mail barcode that is unique to the mail piece. Customers take our information and spray the Intelligent Mail barcode onto an envelope, letterhead, package or flat. Our product does postal presorting so you can take 500 mail pieces and receive a discount for First-Class. For 200 mail pieces, you receive a discount for Standard Mail and with 50 lbs. you will receive a discount on packages. We organize, presort and generate all the paperwork and electronic documentation for all different classes and sizes of mail. All of them have one thing in common and that is they all have an Intelligent Mail barcode. The post office scans the barcode and the information comes to us in real time. CEOCFO: Why does this not matter to the USPS? Mr. Belmonte: The barcode used to be called a postnet barcode and was limited in the number of pieces of information that you could put into it. Now they have what is called an Intelligent Mail barcode that is made up of 31 bytes and it is encoded to create a 65-character string of letters that is printed using a special font. If you look at your mail, every piece of mail that you receive whether the customer that mailed it prints a barcode on it or not there will be a barcode on it because the post office will spray it on. The new barcodes go up and down; that means that the bars that are going up and down go below and above the baseline whereas the older barcodes that had little information in them where you could not track them, only go up from the baseline. 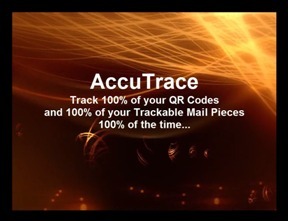 The new Intelligent Mail barcode provides mailers with more digits for their use, allowing for unique identification of up to a billion mail pieces per mailing. AccuZIP won the Must See ‘Em award for “The Future of Print – Technology Demonstrations.” We also came in second to the USPS ironically in the Postal Technology International Awards for the AccuTrace with LIVINGMAIL technology. CEOCFO: What do you anticipate to be more of the common uses and what might be some of the outside-of-the-box areas where this may be useful? Mr. Belmonte: Let us say that the LIVINGMAIL service was integrated into an ecommerce website. After you enter your address, and it is validated using our data quality suite, the address will be CASS certified and the resulting correct address would be returned to the entry form with a barcode you can track. At the time you are choosing a shipping method, you could also setup the communication triggers for LIVINGMAIL. You tell LIVINGMAIL when the package gets close to my home, you want a text message or you may want a phone call or a support rep from the supplier on the phone before the package arrives. You will be able in the future to set this up online when you place an order for a package or any product online so the customer does not need to worry about anything because they have our LIVINGMAIL service communicating with them as the package is traveling to them. They simply order it, set their communication triggers and click ‘order’ and then the ecommerce site prints the label on it and mails it. The piece is then scanned by the USPS or logistic company and the customer has already told the mail piece to do certain things when it gets closer. You may have something that you are ordering that requires customer service or you may want some hand-holding or if you are buying something that has a lot of pieces and you need to put it together you may require that intervention from a customer support person. A customer support person might request that you call them when you receive it or something like that or before you receive it, you might need to go there and open a gate or something for them. Another application would be if you order a package online and inside the package is a printed label for return. You order shoes, and receive the order, and then the shoes do not fit, so you slap the return label to the outside of the box, which has the integrated LIVINGMAIL technology. Now you drop it in the mail and it is headed back to the company you ordered it from. As soon as it receives its first scan, our LIVINGMAIL service could contact customer service department to notify them that John Smith just dropped a return into the mailbox and then, using the uniquely identified information, the customer service department would know that this person is returning an item. Our LIVINGMAIL service could then bridge a conference call between the customer’s service department and the customer to acknowledge they are returning the shoes and suggest that they send a new pair. All this happens automatically; you just set it and forget it. CEOCFO: Is the world ready? Mr. Belmonte: Oh yes, the world is ready for this game changing technology. The Millennials are the largest single group ever in the world. Roughly 90 million strong, Millennials are known as a tech-savvy generation. How they use devices and technology is how we are focusing our technology to bring that to them. Mail is very strong and the postal service is gaining ground on parcels. What we have done with all of our technology is about mail being back in the mainstream and the ultimate vehicle for communication. With the release of our LIVINGMAIL aspect, people now have the ability to literally tell a piece of mail or parcel what to do, depending on where it is geographically, conditions in weather and many other types of conditions. We have the barcode technology built into the LIVINGMAIL, so if you ended up scanning a barcode when you receive the package, we could also set up a bidirectional communication whether it is an email, an SMS, text to speech, conference call or anything like, all within about two to three seconds from the scan. CEOCFO: Is there anything you are not capable of doing in the process that is still on the drawing board? Mr. Belmonte: Data quality is a big part of what we do as well, which may have nothing to do with mailing. We have restful web service calls where our customer can literally send a post through a web service call and they get back a clean address and an Intelligent Mail barcode with our LIVINGMAIL service to configure a mail piece or package to perform bidirectional communication. We have on premise APIs for our customers who want to perform address correction in-house. One of the technologies we have coming out is a new product called AccuZIP 360, which will change our industry, just like our AccuTrace with LIVINGMAIL will change the way people think of mail. CEOCFO: How long has this concept been in the works and what were the challenges in technology that you were able to overcome? Mr. Belmonte: The challenges were enormous and many. The algorithm alone to do this and the fact that it has to be done within milliseconds from when it happens all have to be in place. It has been out roughly two to three years. The technology has been available but we recently within the last year released it to a few important customers. We have some very large customers that are now implementing it in their day-to-day processes with test customers on their side. Our technology is being implemented very successfully. It is challenging to develop technology that basically thinks as this LIVINGMAIL does so quickly. CEOCFO: Do you see this becoming standard? Mr. Belmonte: It is not only attracting the millennial group, but the baby boomers are really grasping onto this technology even though they are older like me. Because it is a competitive edge, it is something they have that someone else does not have because the technology is so new. Many people when they hear about LIVINGMAIL they want to implement it right away before their neighbor get it. For example, many companies that provide print and mail services, such as MSPs, PSPs, or anyone in the print or mailing industry, know that what they are selling is a commodity. Many print and mail providers have migrated to digital with variable data printing and are more successful and growing quicker than print shops that do not provide variable data printing or mailing services. That is why the digital print manufacturers are doing so well. When these same businesses begin providing, the unique, game changing services provided in our LIVINGMAIL and AccuTrace technologies, their customers will become more informed about the progress of their mail and better communicators because of our LIVINGMAIL service. With our AccuTrace and LIVINGMAIL services, our customers can now report back to their customer and say “Yes, we did put your mail in the mail stream, and here is the location of this mail piece, and this one just communicated with your customer on this day and time and left a recorded message for you to listen to.” Our services give a company a competitive edge over their neighbor because if two people are providing print services and variable data, they are just selling price whereas if you integrate our services, you have an advantage over them and they are going to bring their jobs to you. CEOCFO: How do you gear up for what could be an onslaught? Mr. Belmonte: Many of the technologies and methodologies at AccuZIP we do at least a year or two before the industry. One example is more than fifteen years ago we changed the industry by offering unlimited access to many services, such as change of address processing, which was mainly a transactional pricing model. We knew that if we offer unlimited access that there was going to be an onslaught. It was status quo for our industry to charge based on a transaction model. We know we are going to offer services that require better, faster, beefier technology, so partnered with Dell and AT&T to insure that our hardware and telecommunication is the best possible. We started with T-1, then we went with combined T-1s, then we went to fiber at 250 megabits, and now we are at fiber optics at 500 megabits. We are already implementing that and we are not even using a tenth of the capacity of our existing 250 megabits. We always keep our computer systems and infrastructure way ahead of where we are, so we want to have about a 10% to 15% capacity and then as we go into the 20%, we just get better, bigger or faster equipment in our facilities. CEOCFO: Why pay attention to AccuZIP? Mr. Belmonte: Twenty-two years ago, we started and from day one I wanted to be synonymous with a company called Postalsoft. Today, AccuZIP is top three in the nation in our industry. Every day I think of new and exciting things that we can do, like focusing on the millennials. By doing that, we know that our business is going to continue to grow because we focus on things, people, technologies and processes that are very far in the future that we know that people are going to want and use. Our motto is “Our Technology, Your Success”. This motto is so true. If you knew me well and you knew the company, it is so true. We make technology and we want our customers to be successful. AccuZIP wants you to be successful and provides technology at a fair price. It is a win/win.